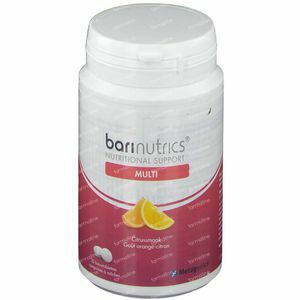 Barinutrics Multi Citrus 30 tablets order online. 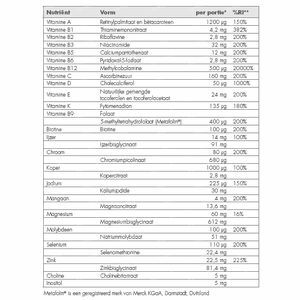 Calcium is important for strong bones. 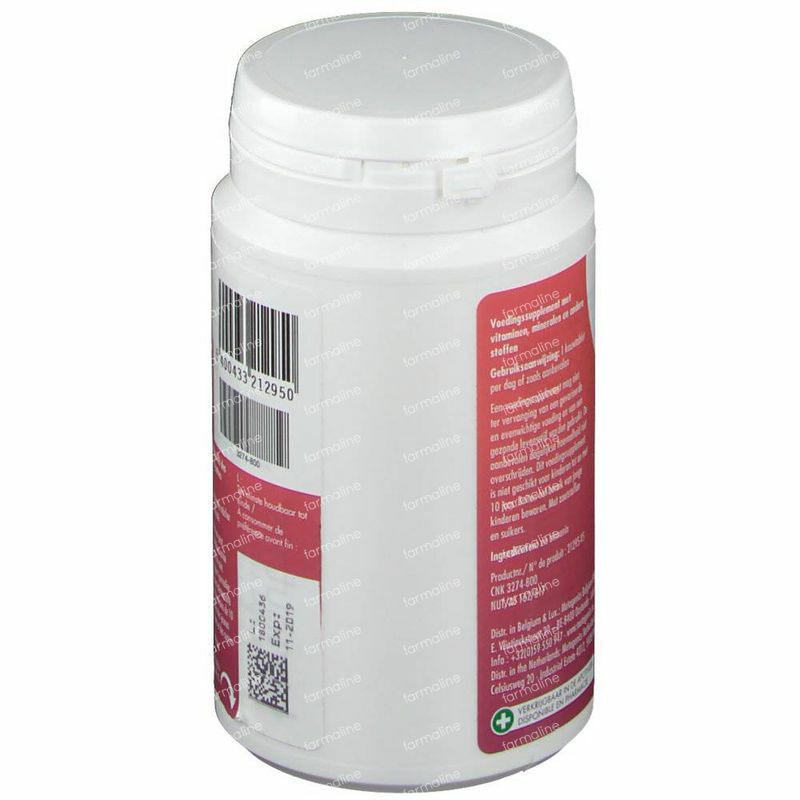 After surgery, the body needs extra calcium. 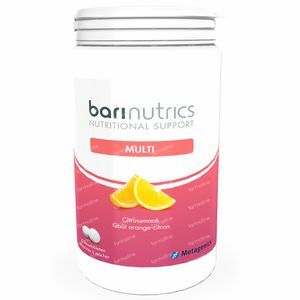 BariNutrics calcium is a calcium supplement on the basis of well-absorbed calcium. The advantage of calcium citrate is that it is active in a broad pH range and doesn't require acidic stomach contents to be included in contrast to calcium carbonate. 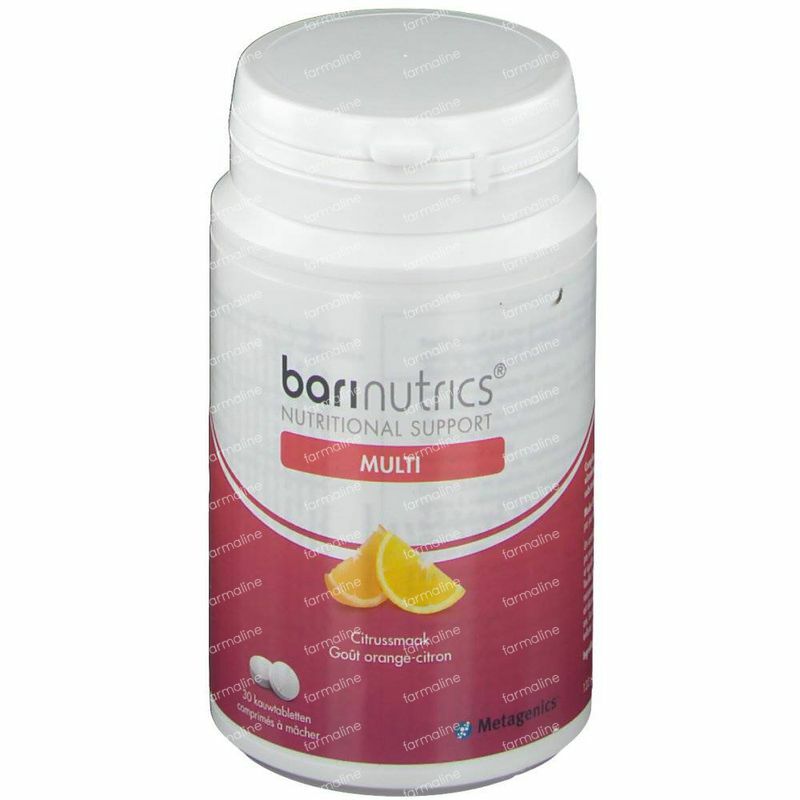 BariNutrics calcium also contains Vitamin D which promotes the absorption of calcium and supports bone metabolism. Usage: 1-3 chewable tablets daily, spread over the day for optimal recording. 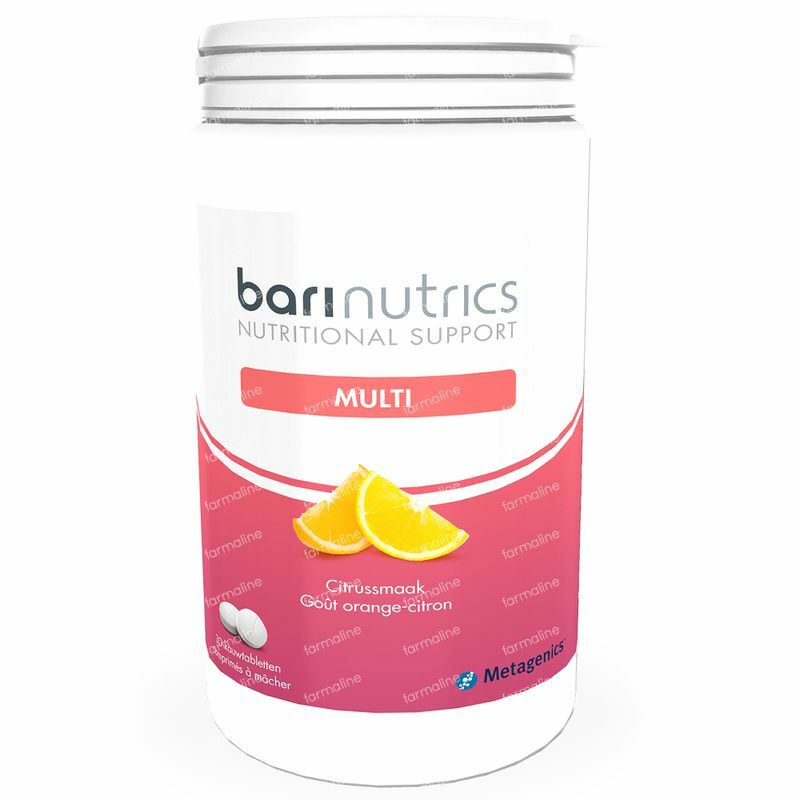 Tip: BariNutrics calcium and BariNutrics multi don't need to be taken spread over the day. 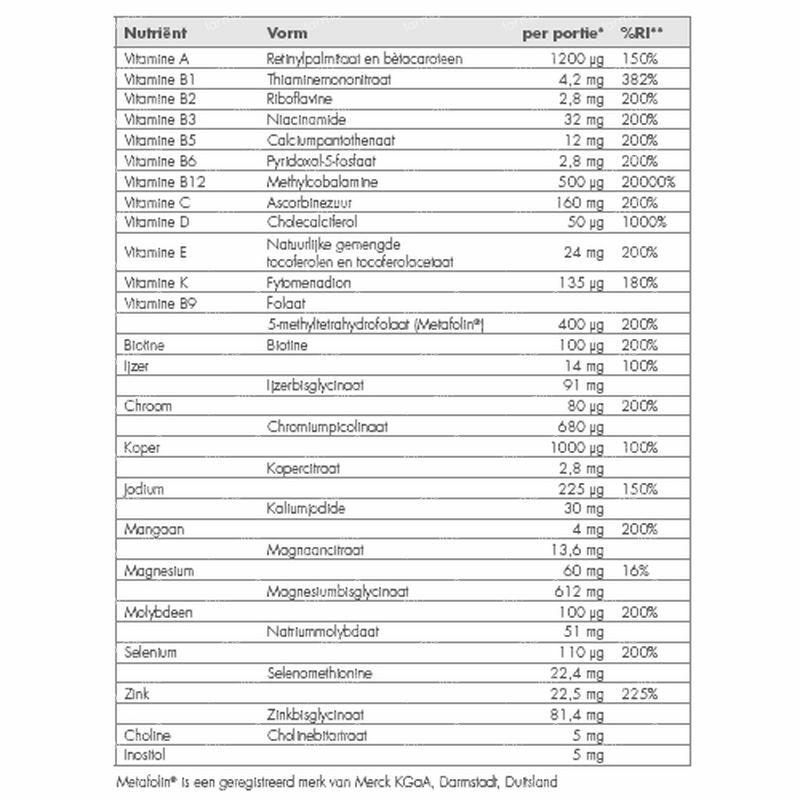 Thanks to the very easily absorbable form of iron viz. 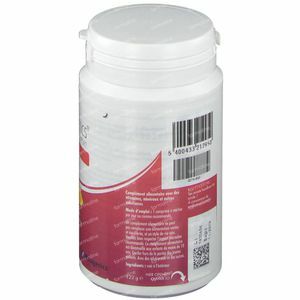 ferrous bisglycinate in BariNutrics multi, calcium in BariNutrics calcium citrate doesn't affect the absorption of iron.